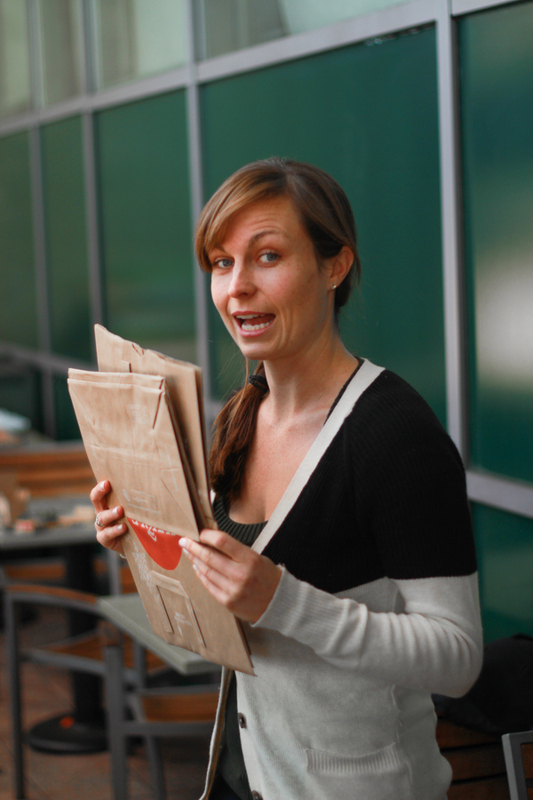 Sometimes people disregard presentation when they’re giving a gift. 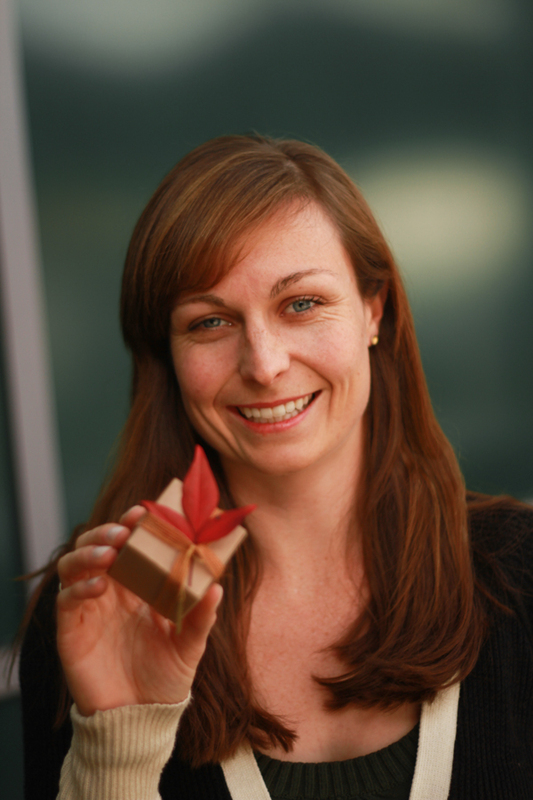 But having been in the gift industry for almost 10 years now, I know how important presentation actually is. It can make the difference between someone thinking the item inside has a good value or a low value. 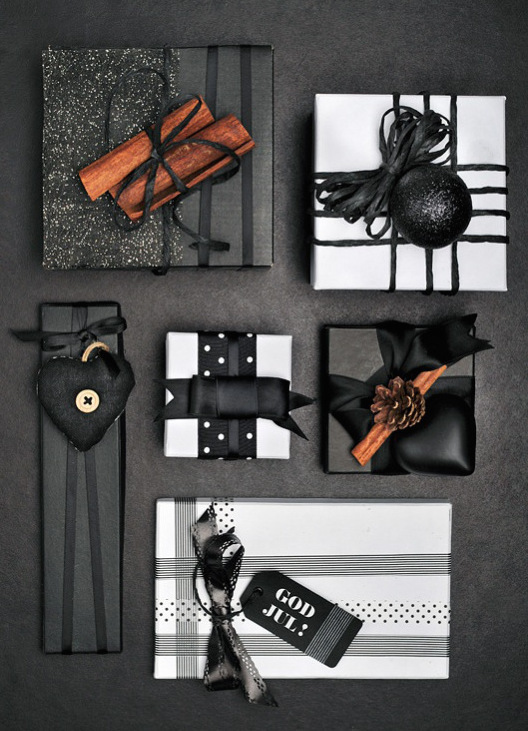 And it can change the overall “vibe” of the item—you can add a hint of fun, or mystery, or luxury—just based on what type of gift wrapping you choose. 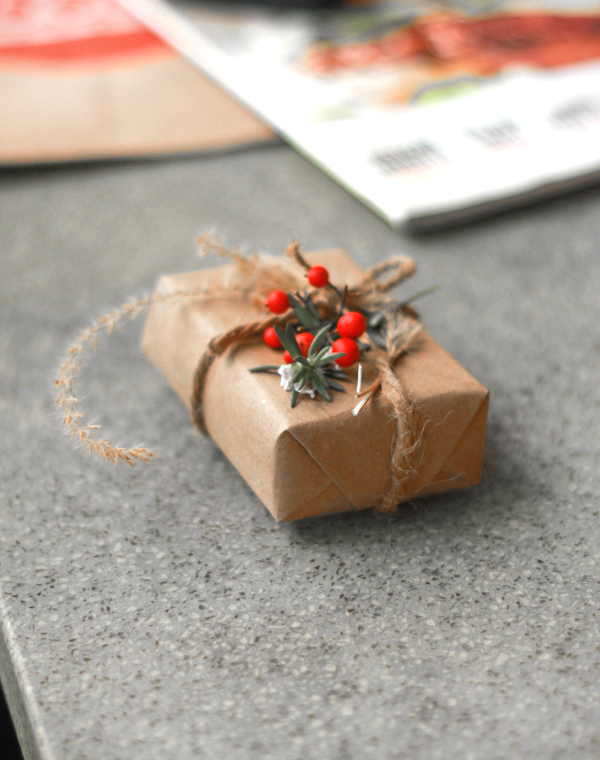 With that in mind, we’ll jump into some really cute and cool homemade gift wrapping ideas to made sure your gift gives off the right impression. 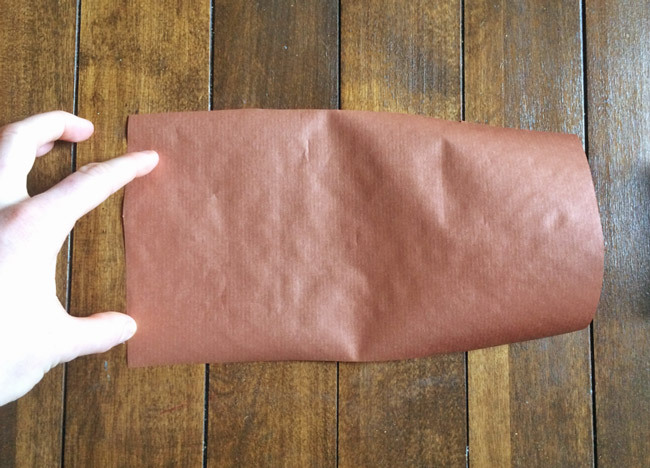 We usually recommend starting with either brown kraft paper (if you don’t have any, cut up any brown grocery bag or lunch bag and voila!). 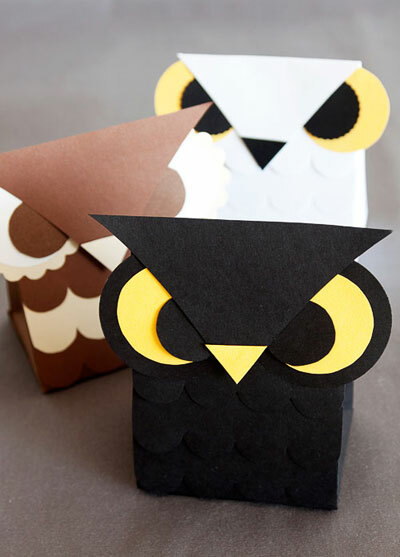 Or, if your box already looks nice, just start from there and add embellishments, like the ones below. 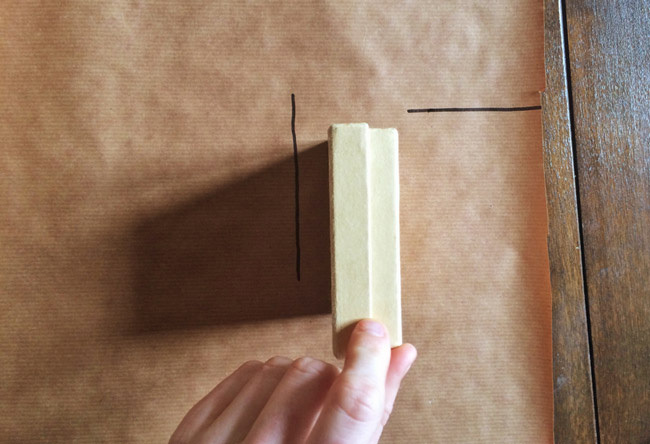 If you have any stamps around the house, adding one to the top of a plain kraft box can really add a lot. 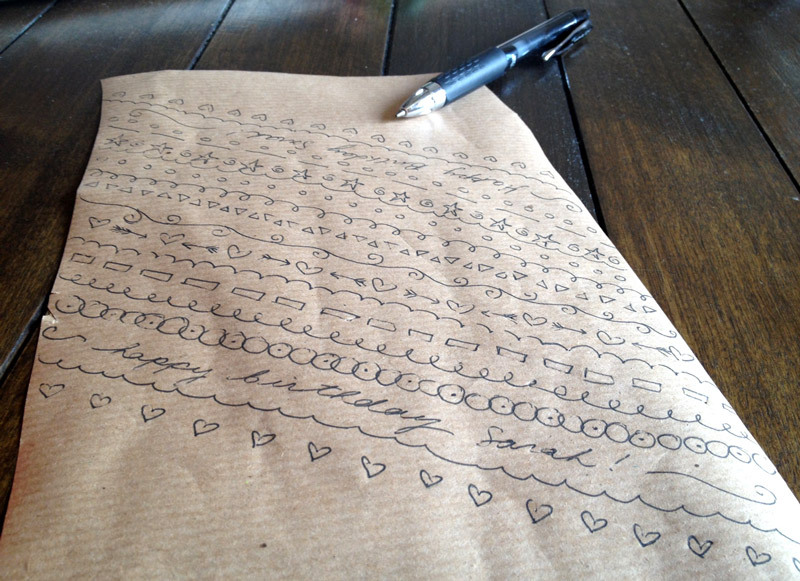 Hearts are a great stamp idea, as well as feathers. 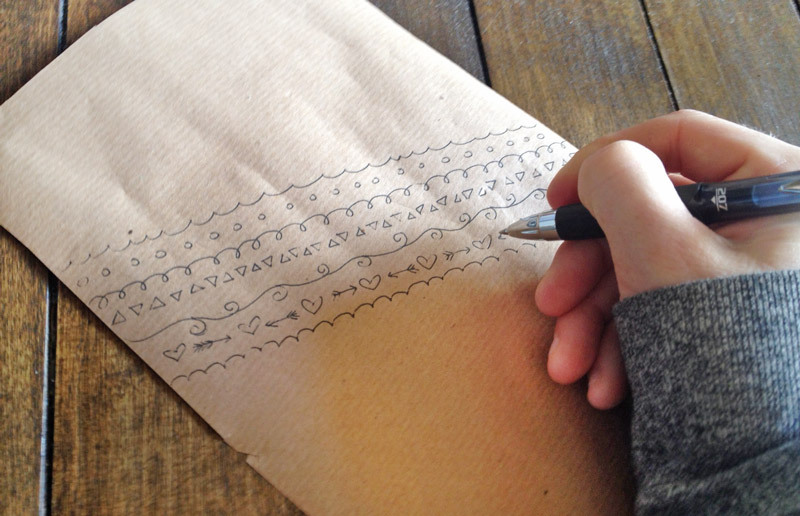 If you don’t have any stamps, we recommend cutting one out of a rubber eraser, and then using ballpoint pen ink (or lipstick) as your stamp ink. 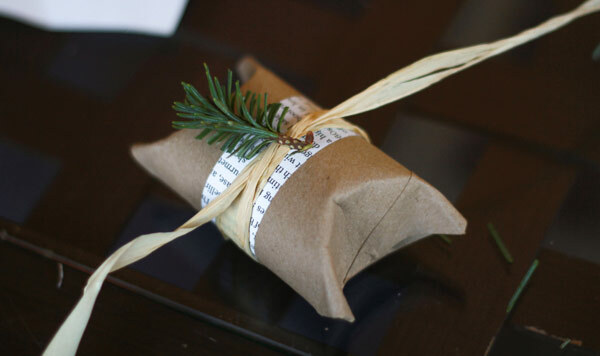 Probably our favorite type of homemade gift wrap embellishment, leaves and flowers can give a very organic feel to the gift. If you’re doing flowers, we recommend picking a test flower first and seeing how long it lasts before it starts to wilt. 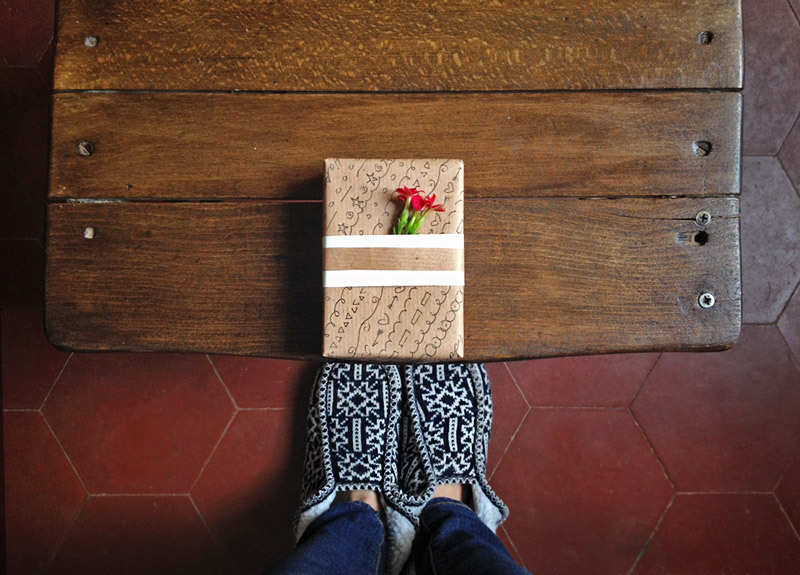 Make sure it will last long enough to get the gift to your recipient (lavender lasts a long long time). 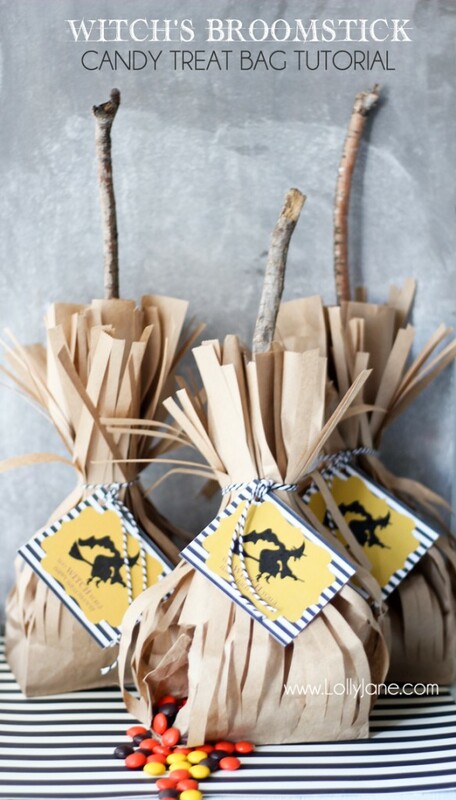 For leaves and twigs, sometimes dead or dried ones work best. But if you find eucalyptus leaves, those last a long time fresh, and smell really nice. 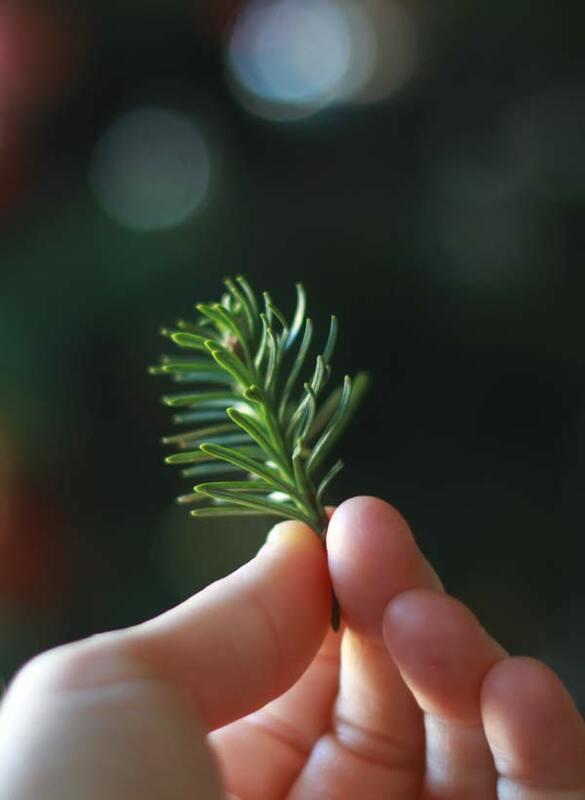 Certain herbs work well too (fresh), like rosemary. 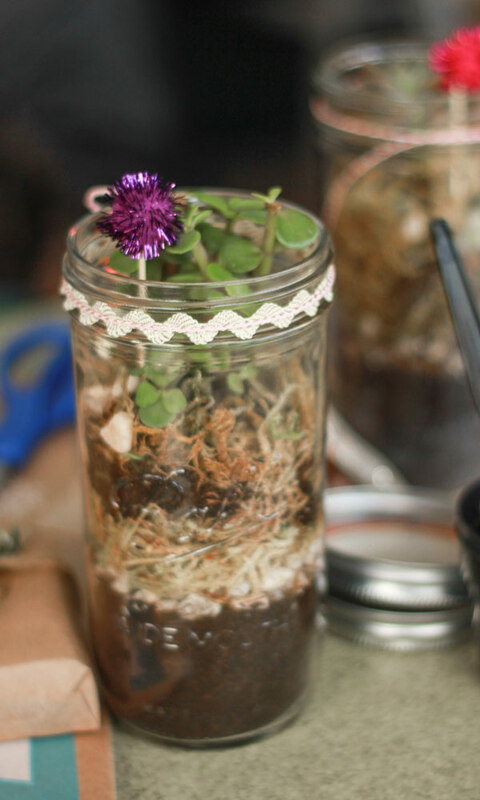 Our favorite type of item to use to close it up is with gardeners twine. You can get it both at an arts and crafts store, and also at your local hardware or garden center. Additionally its available on Etsy. 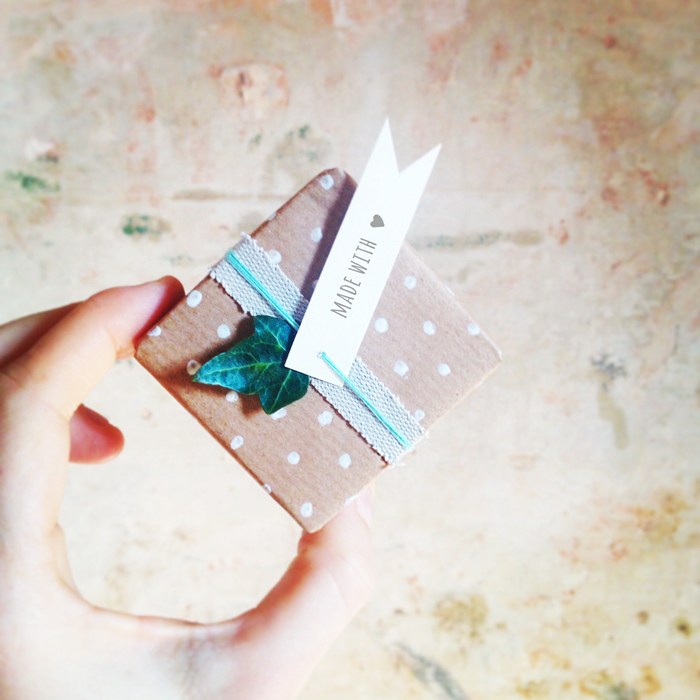 To give it that finishing touch, attach a little tag that says “Made with Love” or “Wrapped with Love”, or even just has a little heart drawn on it. It seals in that homemade touch. 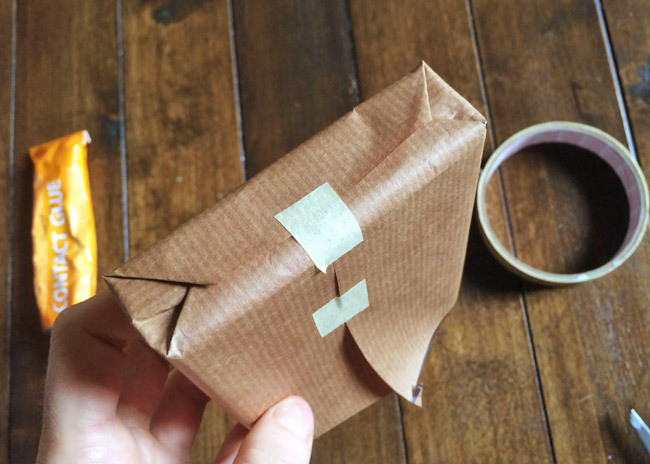 Summary: Keep it simple and cheap when you’re doing homemade gift wrapping. 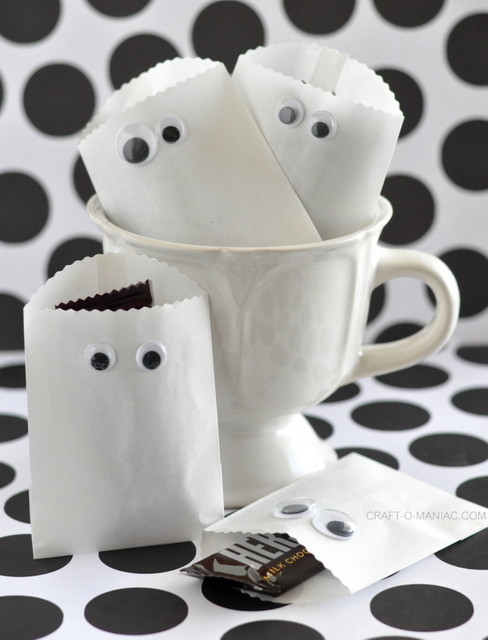 You should be able to find enough stuff around your house to fashion an adorable little gift. 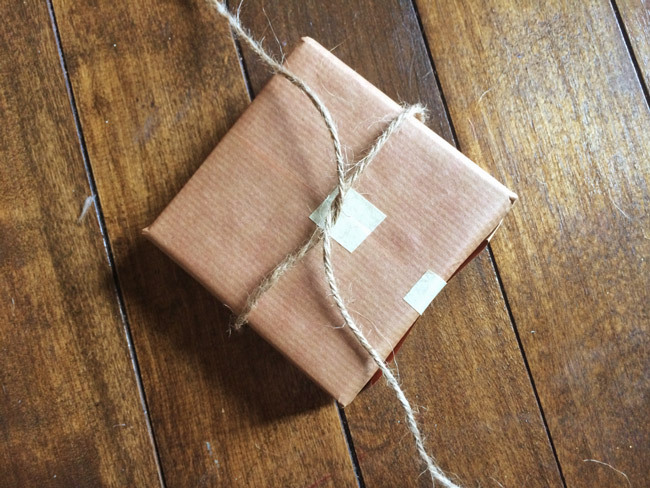 It’s high time I did a simple tutorial on how to wrap a gift. 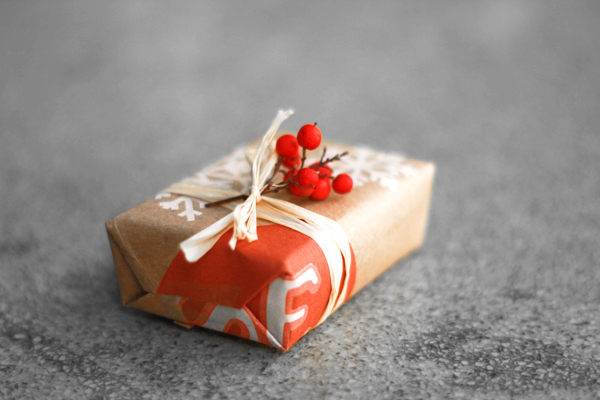 Never waste another inch of gift wrap, and never again cry out “Why God, WHY? !” when all your efforts still end up looking like you pulled an old lunch bag out of a garbage can and wrote your best friend’s name on it. So here goes. This is actually pretty simple once you get it, but bear with me through the explanation. If my explanation doesn’t float your boat, you can try another version here (but there are fewer pictures). 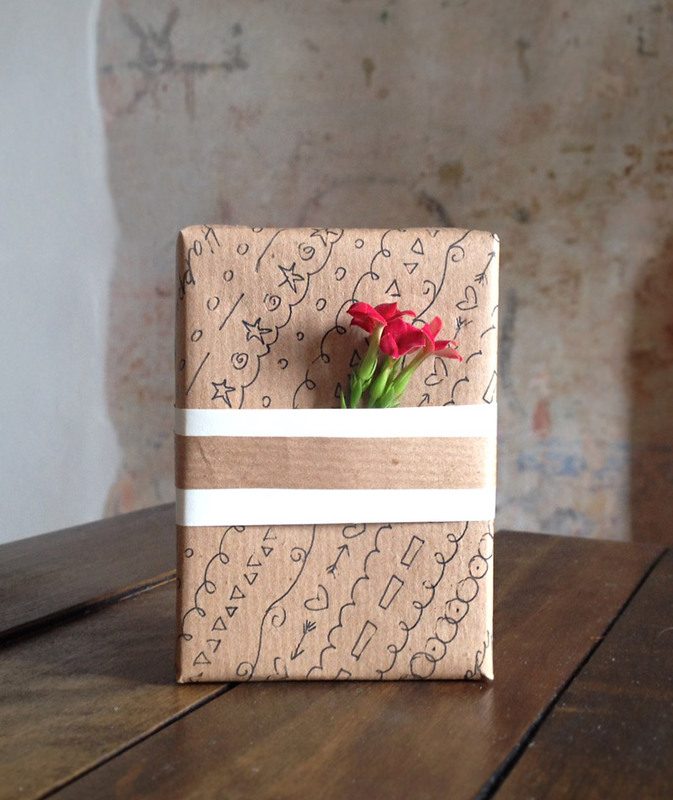 Take your gift box or gift item, and put it in one corner of your wrapping paper. 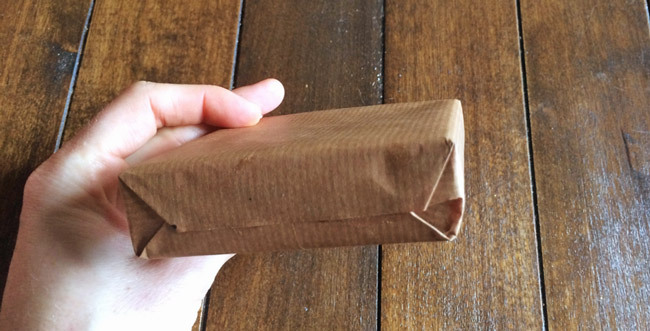 Roll it along the bottom edge of the gift wrap, until you’ve rolled every side (e.g. if it’s a box, roll all four sides along.) 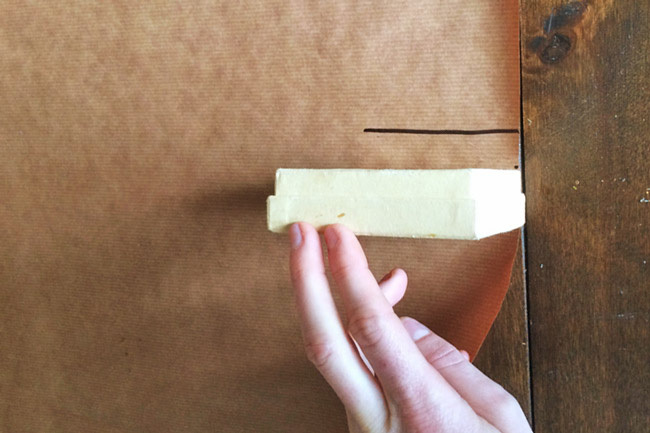 Add about a centimeter, and draw a line—this is where your first cut will be. Pick up the box and put it face-up where you stopped, so the edge is at the line you drew. 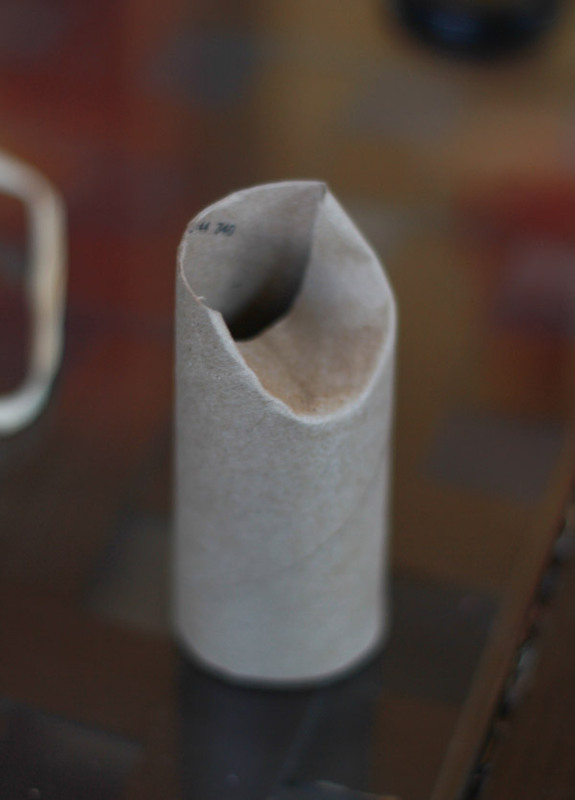 Roll it ONCE up the other direction of the paper. 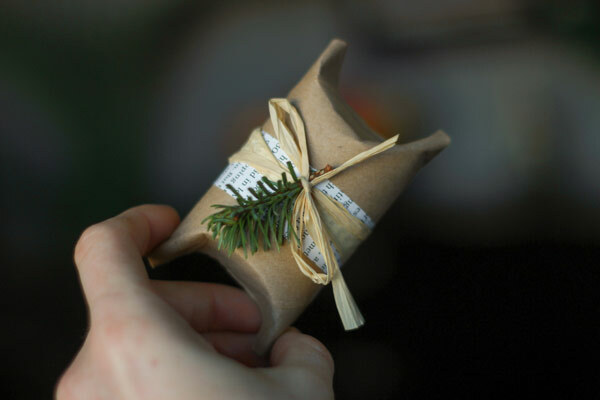 So only two of the sides have been rolled (or if it’s not a box, HALF of the gift).Add about a centimeter, draw a line—and this is your second cut. That’s it. 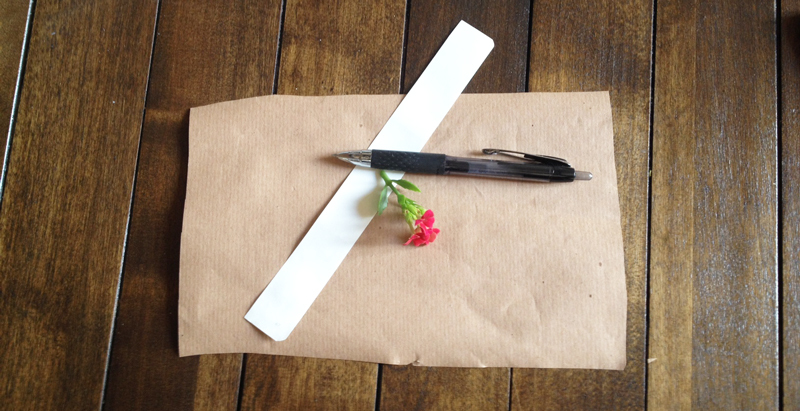 Cut the paper along the lines. It should be perfect. 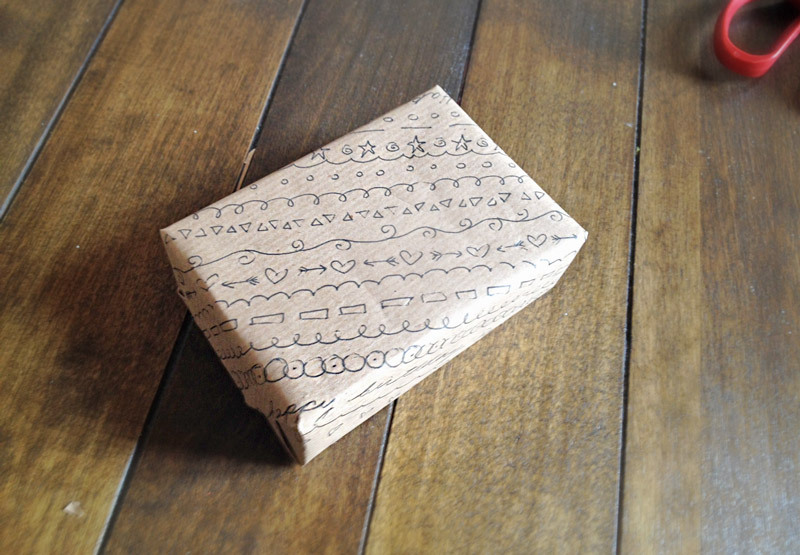 Put your gift upside-down in the center of your paper. Take the longest sides and bring them together, so one overlaps the other. Make sure they meet in the middle of one of the sides. Tape here. If you’re fancy, dab a bit of glue under the top piece and hold it to the bottom piece until it dries. This way you’ll have no ugly tape. 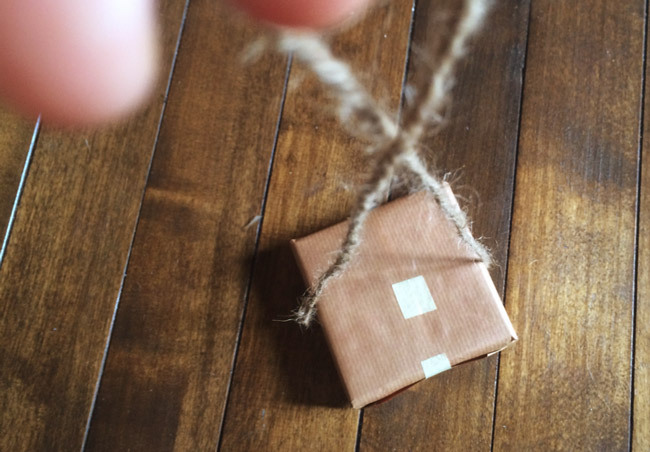 Now we do the sides—the trickiest part of wrapping a gift. 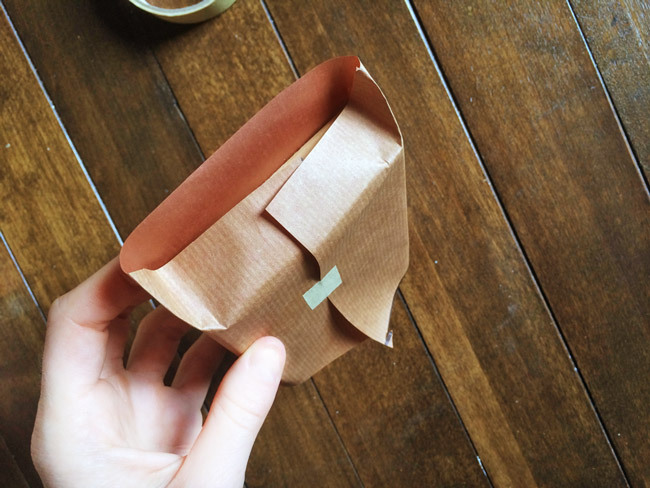 With the pieces that stick out over the end of your gift, you want to fold in the sides. IMPORTANT: Make sure you don’t push the box down through the paper—you need the same amount of space on the other side. You should start with the side that has the overlapping pieces. 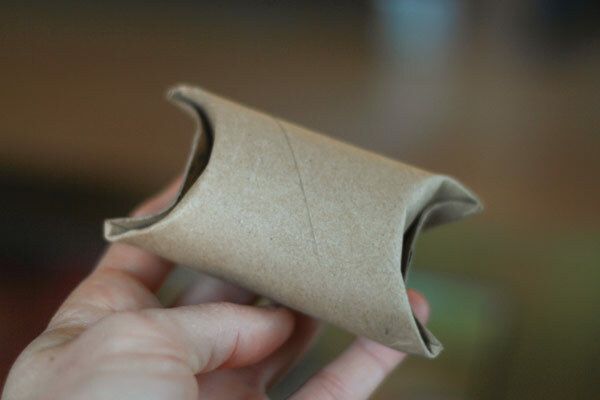 Fold it flush onto the box. The best way to make them stay put is to crease up the edges of the adjacent sides once you have folded the first one down. Next, fold down the two adjacent sides, and the final side down on top. Tape or glue it down, and do the same on the opposite side. I did one side tape and one with glue so you can see how it can make a difference to the look. 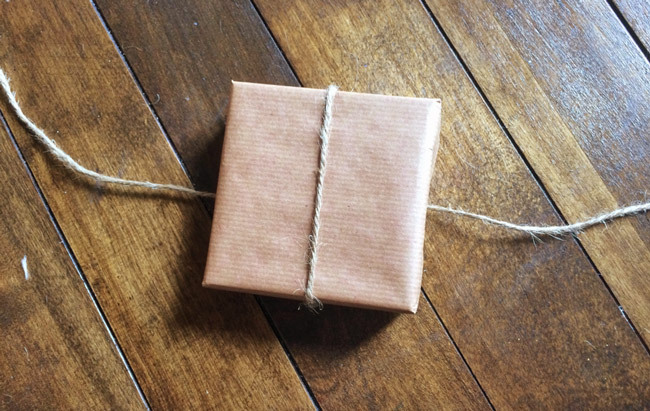 Congrats—the hard part of wrapping a gift is done! 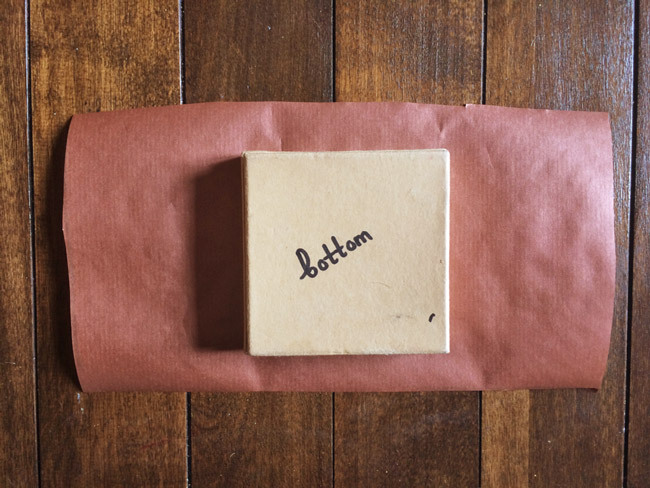 To cut the ribbon to the right length—it should be the circumference of the box one way + the circumference the other way, plus 4-6 inches for the bow part (bigger if your box is quite big). 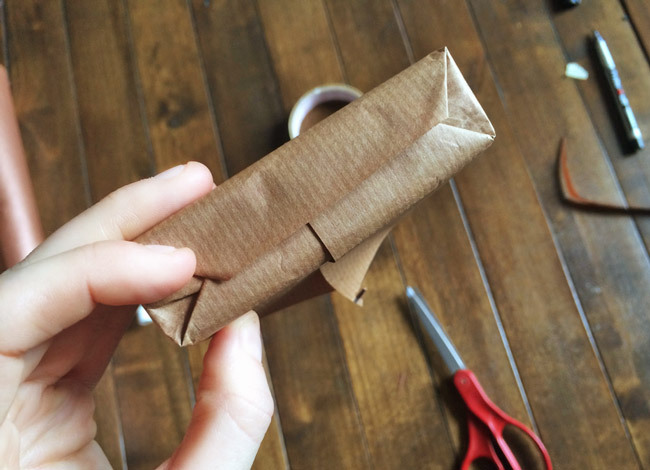 So if you put your box at the end of the ribbon, and roll it along it until all four sides have touched—then turn the box the other way and roll it the other way, then add 4-6 inches. 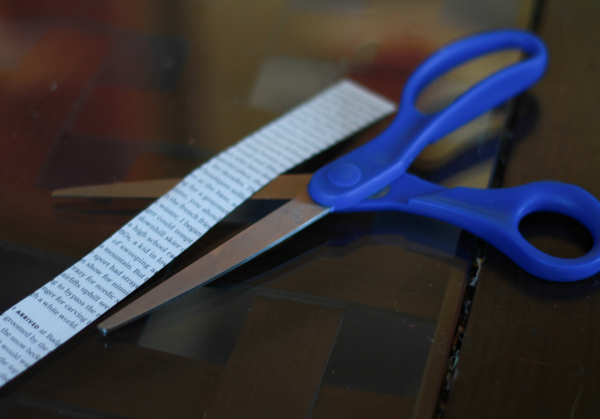 OR you can always just cut it super long and then trim at the end. Find the middle of your ribbon. 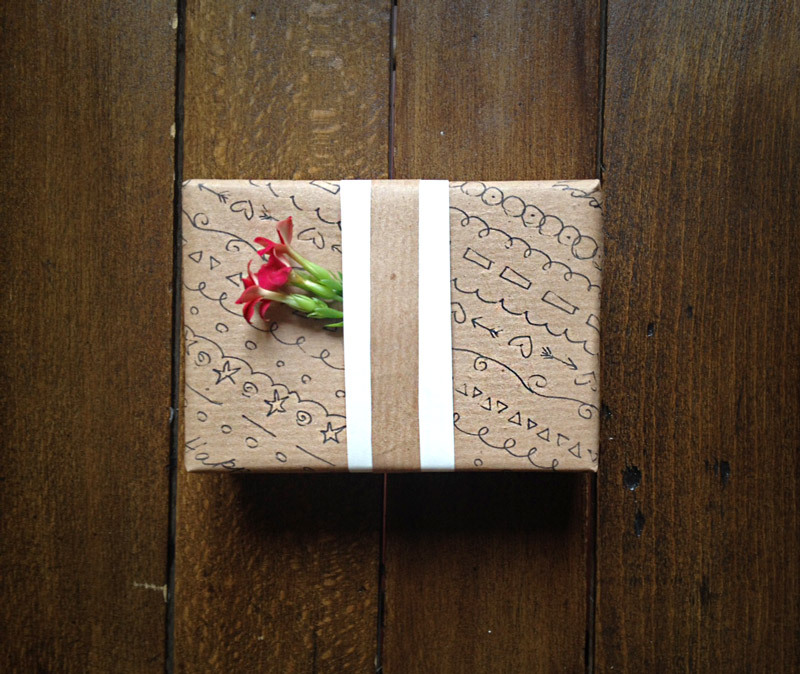 Put the box onto your ribbon in the center, with the overlap-side (the bottom) facing up. 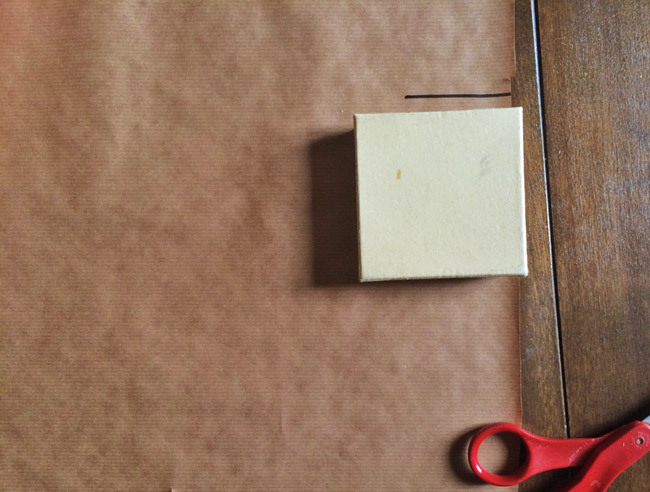 Pull the ribbon up the sides of the box (doesn’t matter which sides), until they meet at the top. Twist them around each other. Flip the box over. 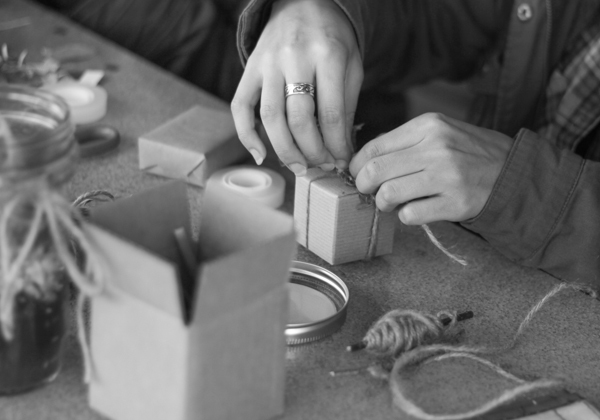 Pull the ribbon up the other two sides until they meet at the top of your box. Tie a bow—like you’d tie your shoelaces. I like to add a little twig, or leaf, or something to make it a little extra fancy. I got these berries from outside—they are plentiful in winter, which sorta makes this also a tutorial for how to wrap a christmas gift. 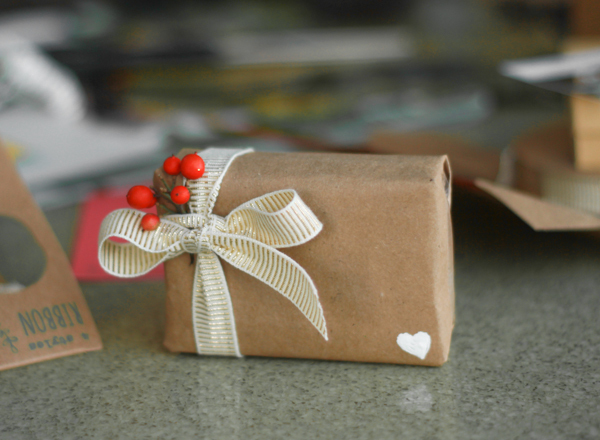 Check out some of my other posts on embellishments: Recycled Gift Wrap DIY and Natural Gift Wrapping DIY . …and that’s it! 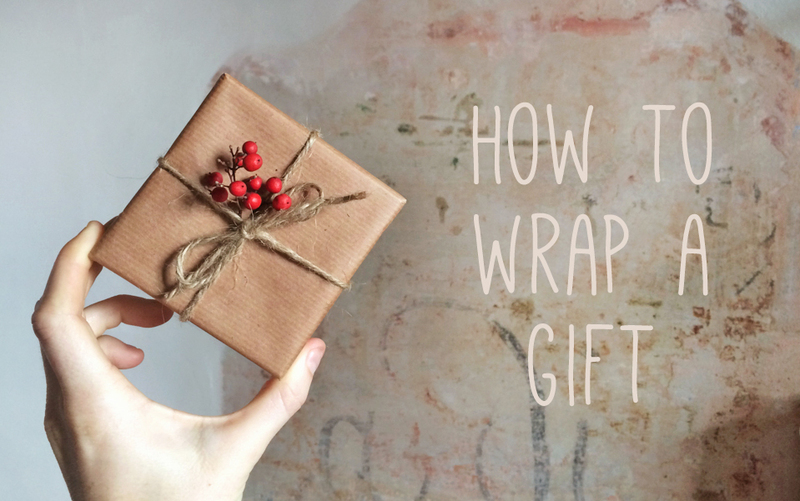 I hope this helped with your christmas gift wrapping, or gift wrapping for any occasion! 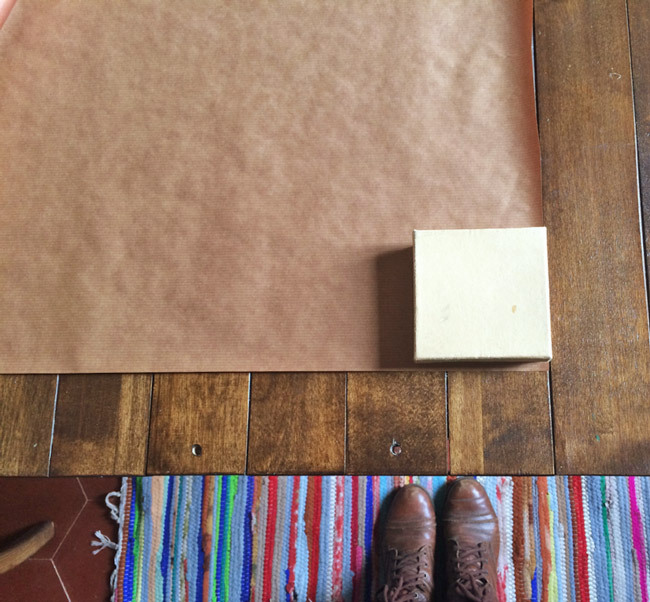 ….It’s time for an inexpensive holiday gift wrap post! 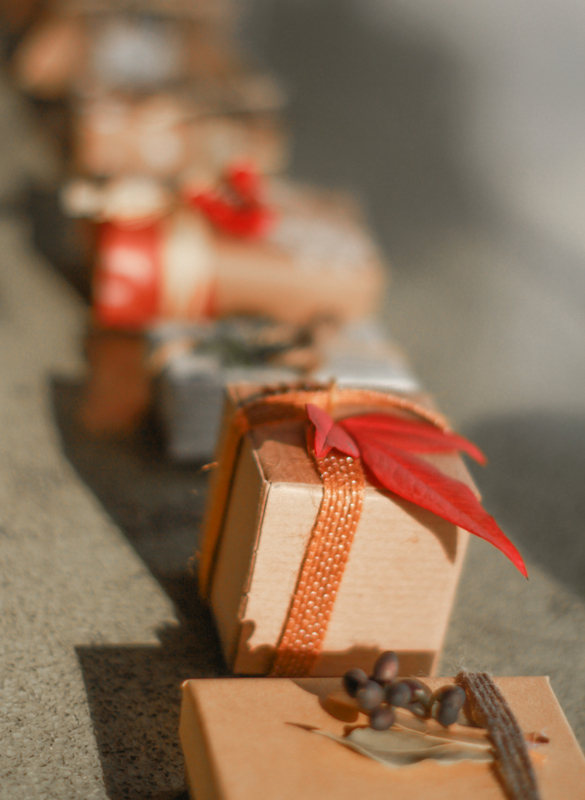 As you all know, cute gift packaging is one of my top favorite things. 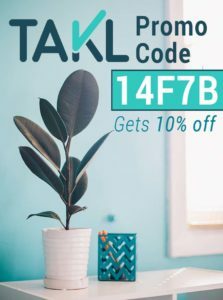 Combine that with some creative gift wrapping, PLUS something that is eco-friendly AND inexpensive (free actually), and I’m yours. 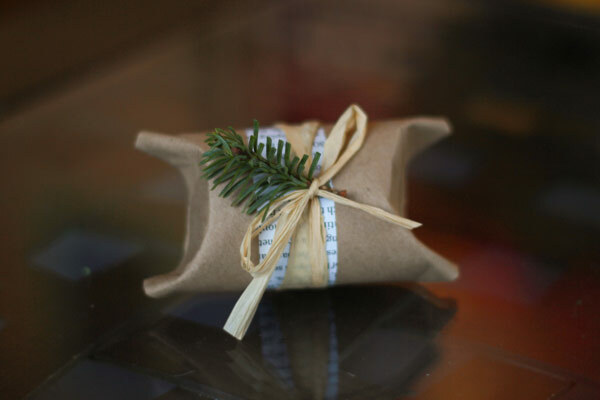 This blog post is going to teach you one way to create some inexpensive holiday gift wrap using ONLY things you already have around the house, and resulting in an adorable pillow box for wrapping little unique jewelry gifts. Zero cost, and about 1 minute of effort. 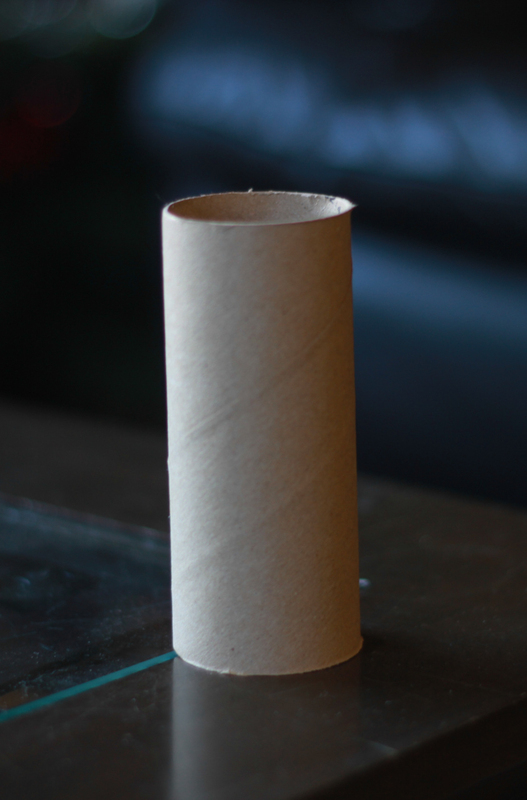 Fold one end of the toilet paper roll down towards the center. 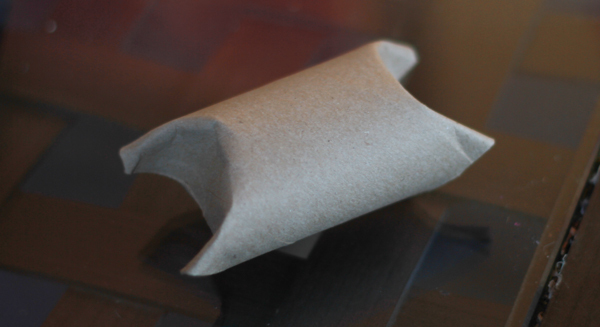 Each flap should go a little past the middle of the roll, so that when you fold down the second side, there is no gap between them. 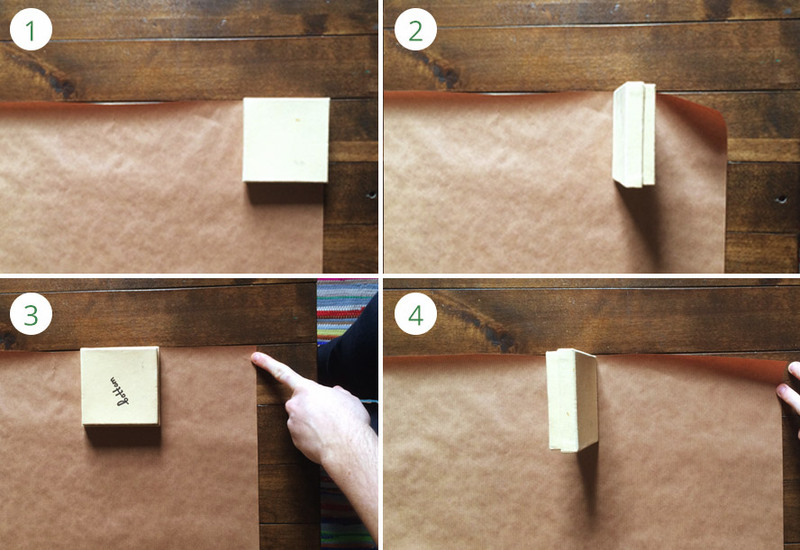 Do this to both sides, so that you have essentially a pillow box. Well, that was easy! Next we want to spruce it up a bit with some embellishments! 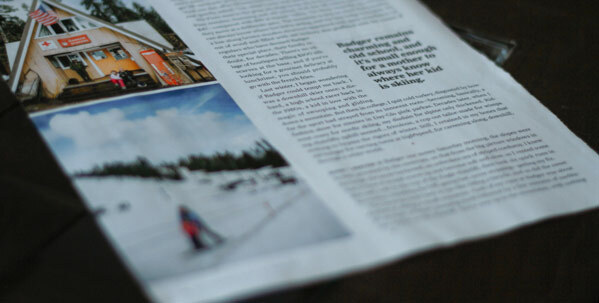 Take a piece of newspaper or magazine paper and cut a thin strip, about 1″. 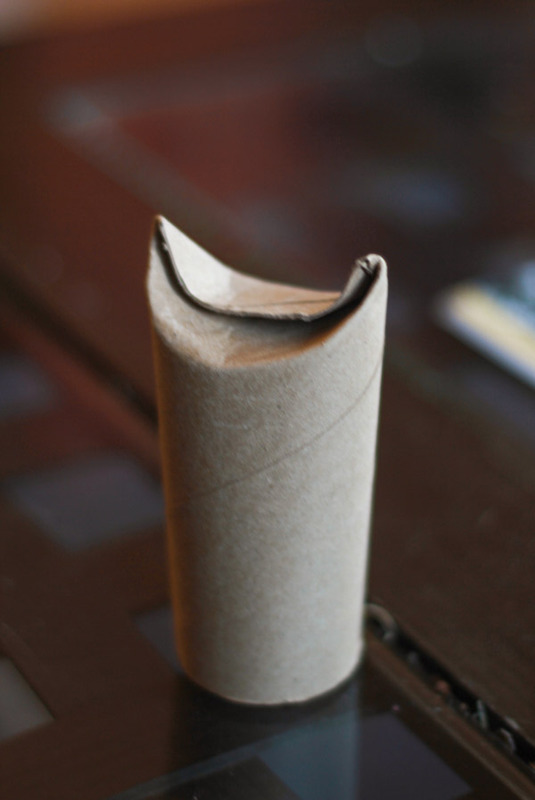 Then roll it around the toilet paper pillow box and tape the end (on the underside). Grab some sort of ribbon material. 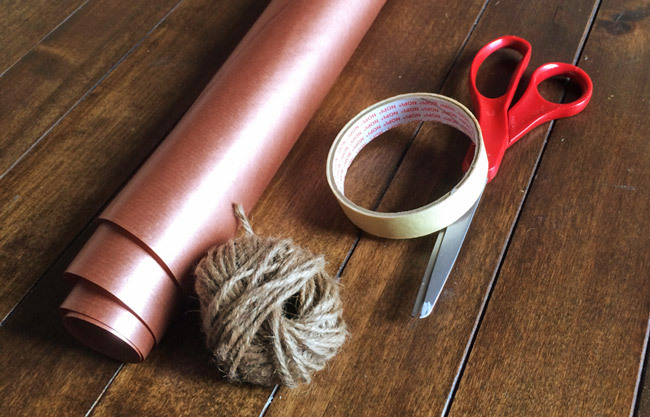 I really like the organic gift wrap style, so I suggest natural-colored raffia (pictured below), garden twine, or a natural-colored yarn. 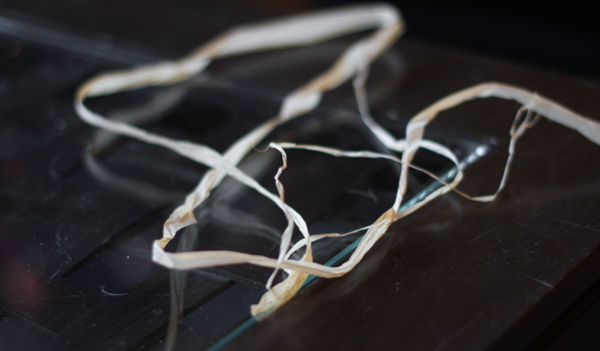 If you want to be really organic and fancy, you can go outside and find some New Zealand flax (it’s everywhere), cut a leaf and let it dry for a couple days. 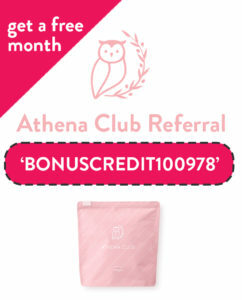 Tear it into strips and you’ve essentially got some free raffia. Find some sort of leaf to embellish the top with. Since it’s the holiday season, we found a perfectly good Christmas tree right in our living room. We cut off a tip and used the Christmas tree spring! 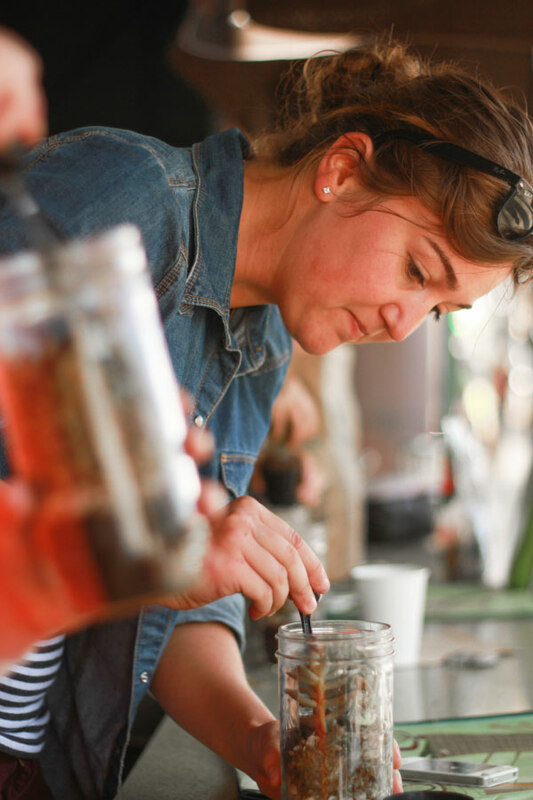 Other recommendations are rosemary, dried berries (see this post for ideas), or even some dried twigs or dried (dead) leaves. 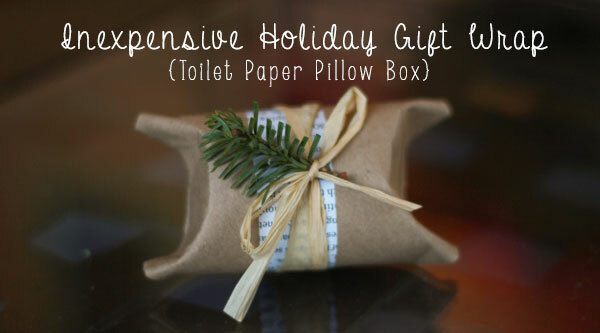 Voila: Your super fancy, organic toilet paper roll pillow box! 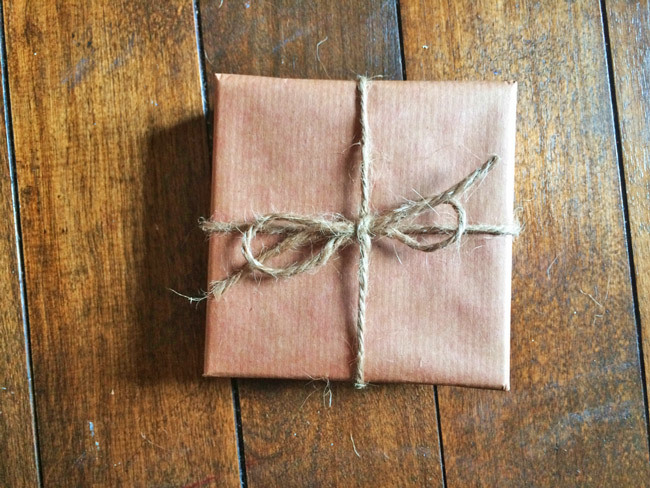 We love using this type of DIY inexpensive holiday gift wrap for all our smaller holiday presents (like unique jewelry gifts). 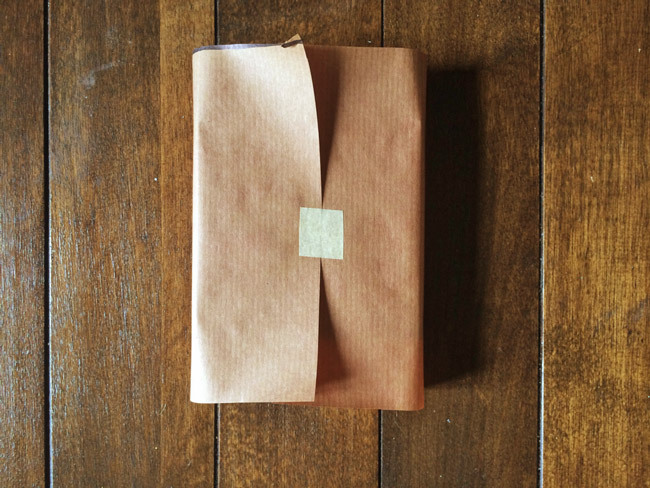 The organic vibe also goes along really well with the types of gift wrapping we feature in our monthly surprise gift boxes from Fair Ivy (click here to check out our subscription options!). 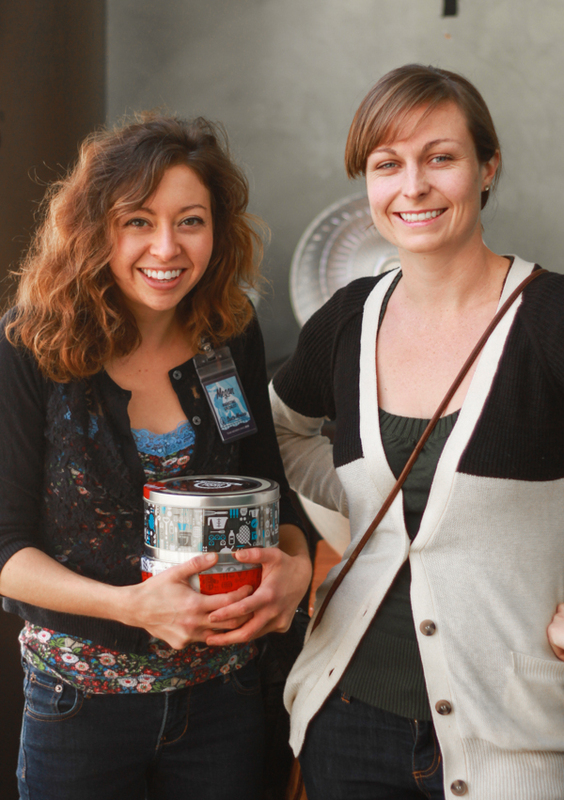 This past Saturday, I was invited to do a presentation at Whole Foods Santa Monica on upcycled organic gift wrapping. 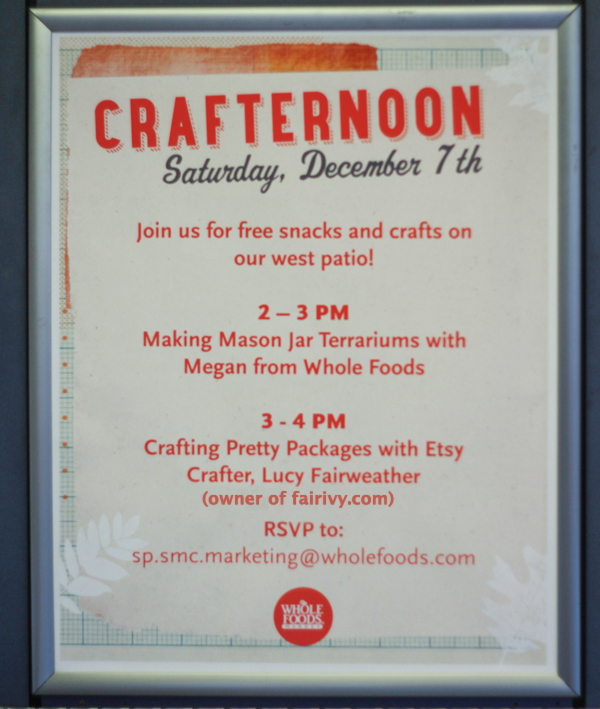 Along with Megan (the Whole Foods Marketing Team Leader…and blogger of The Dinner Party Association), we hosted Whole Foods’ first Crafternoon crafting event! 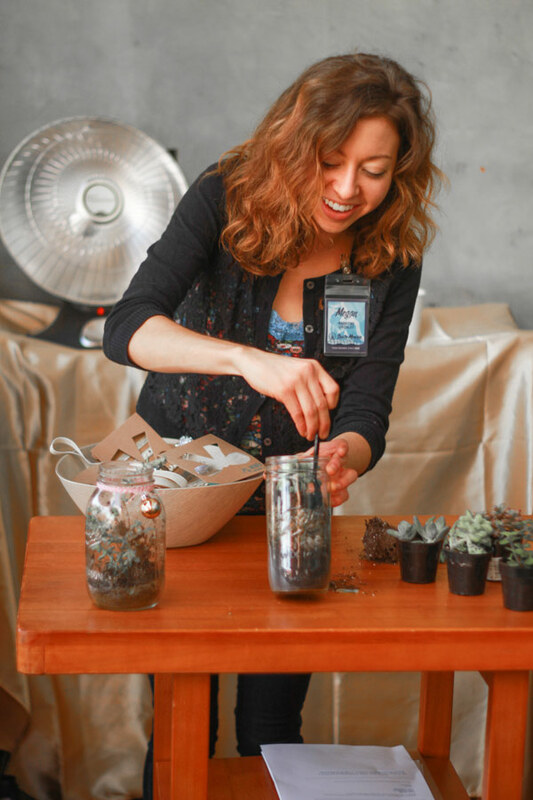 Megan did a wonderful presentation on how to make really creative & fun gifts using mason jars, a bit of soil and moss, and a succulent of your choice. 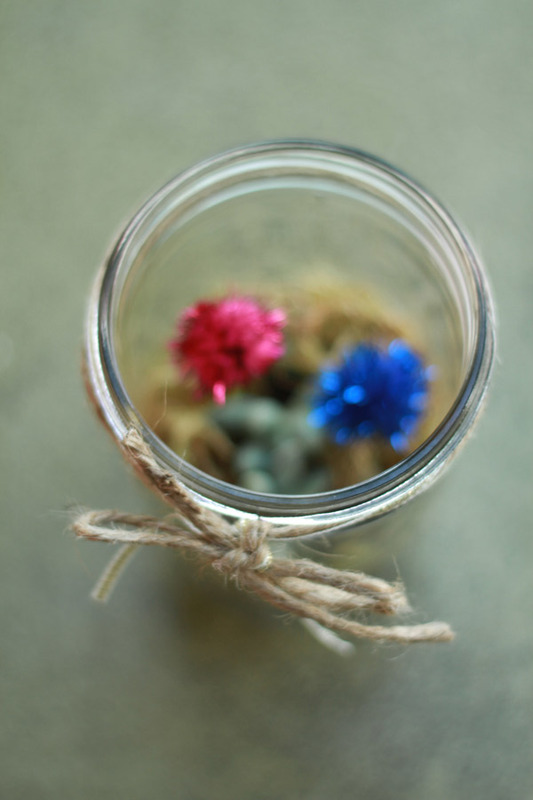 Then we got to decorate the mason jars with adorable little ribbons and holiday-themed embellishments. 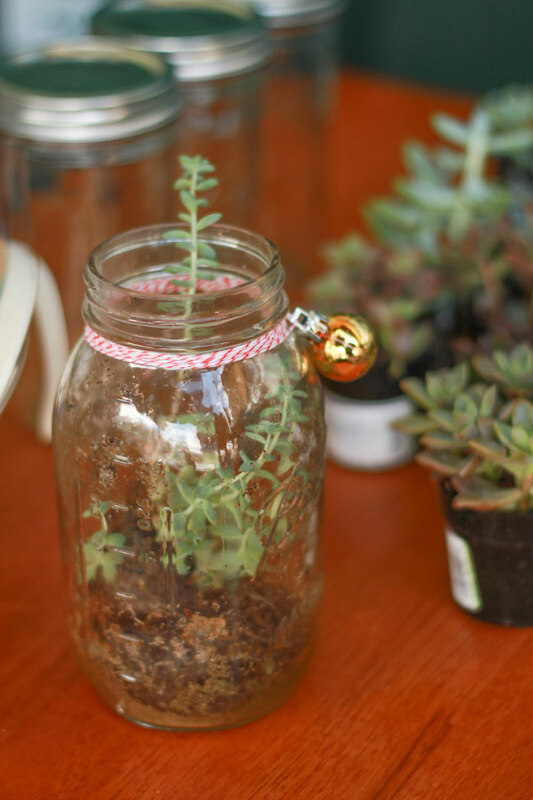 The result was a fantastic mason jar terrarium that would make the perfect holiday gift! 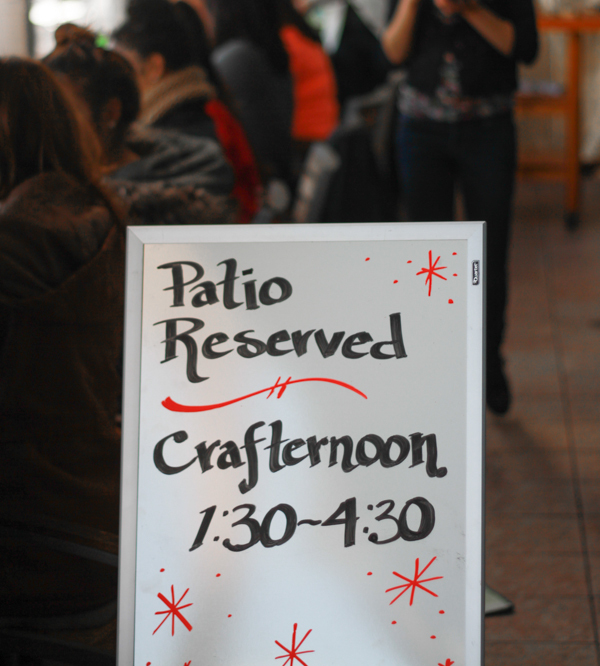 It was an absolutely fantastic presentation, and I really enjoyed learning a new crafting skill! Next was my turn! Whole Foods just asked that I do some sort of creative gift wrapping presentation, and left the details and theme up to me. 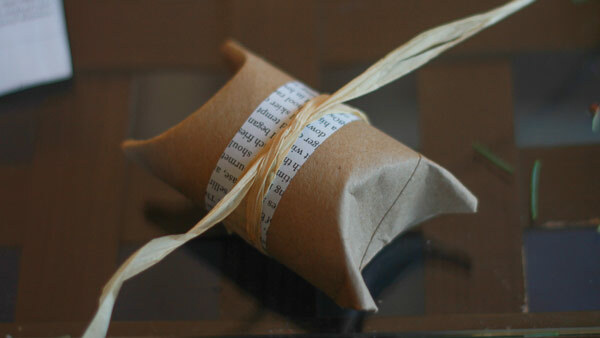 I settled on an upcycled materials theme that focussed on an organic gift wrapping style. In case I haven’t made it obvious already, this is my utmost favorite style, and also the one I often encourage Fair Ivy‘s monthly featured surprise artists to use! 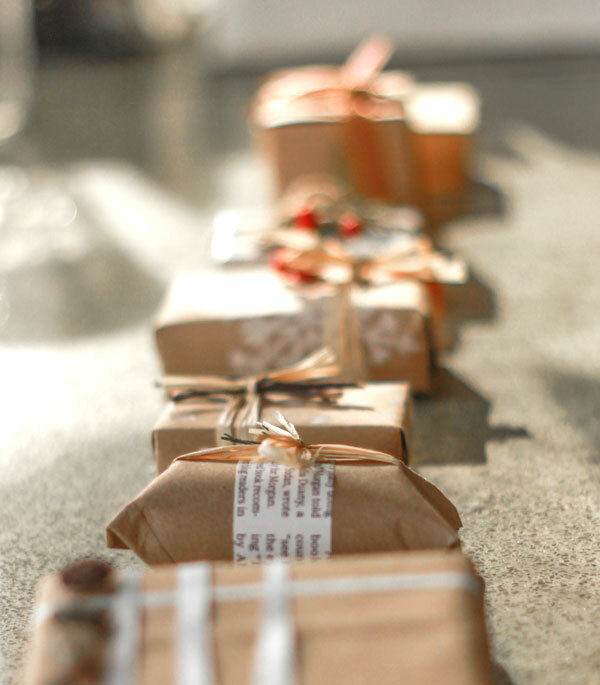 We started with Whole Foods brown bags, to upcycle into wrapping paper. 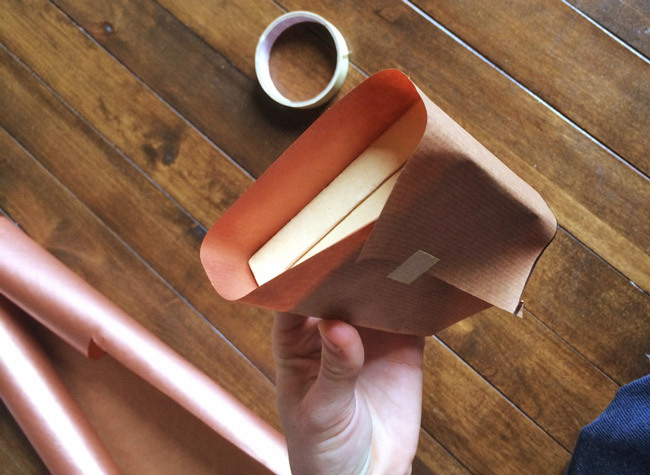 We simply cut them open and used the backside, which made for perfect kraft paper that kept with the whole organic gift wrapping vibe. 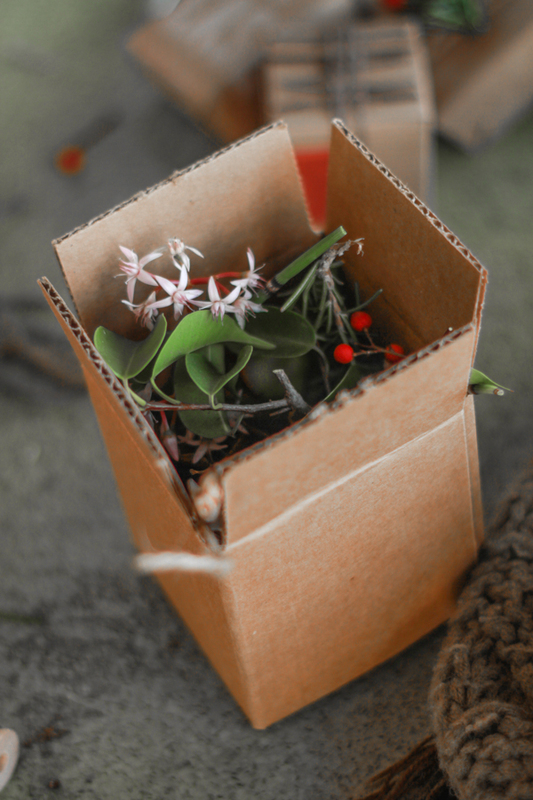 I put together little boxes full of natural embellishments—leaves, twigs, flowers, berries, and other non-wilting plants that were perfect for embellishments on organic gift wrapping packages. 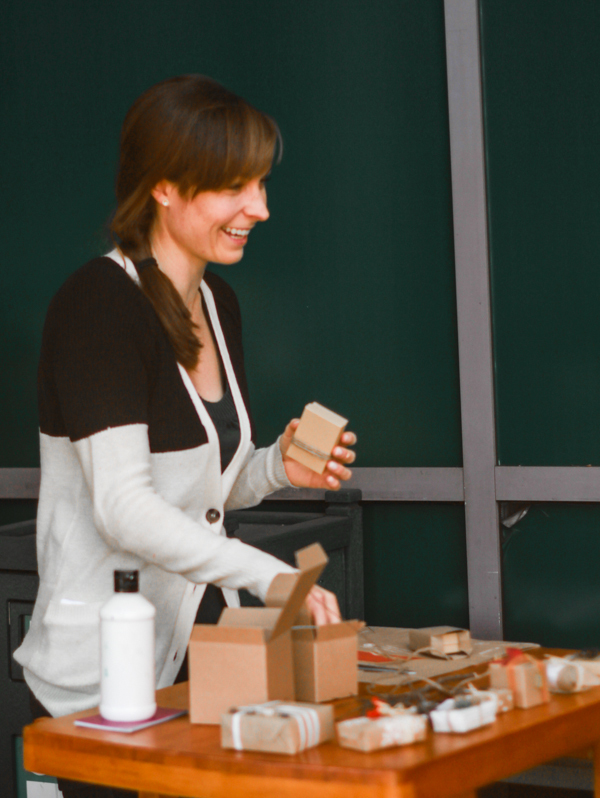 Each Crafternoon participant got their own little box of organic goodies, and were allowed to be as imaginative as they wanted. Above are a few of the sample packages I created, all using organic embellishments that I simply found in the garden or outside my house. 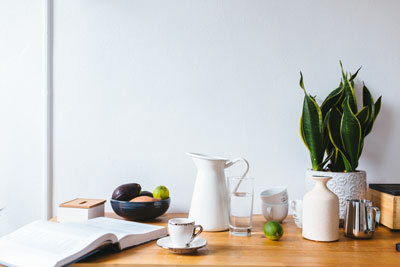 The idea was to focus on natural items that don’t need water to remain beautiful—so low-water-needing plants (like succulents, ficus trees, rosemary, Christmas trees), dried plants (like twigs, dead leaves, dried berries) and even little pebbles. For ribbon we used twine, natural-colored yarn, or raffia (made from the raffia palm—how much more natural can you get?). I brought a little bottle of white paint as well, which participants used to spice-up some of their kraft paper, with little dabs of their finger. 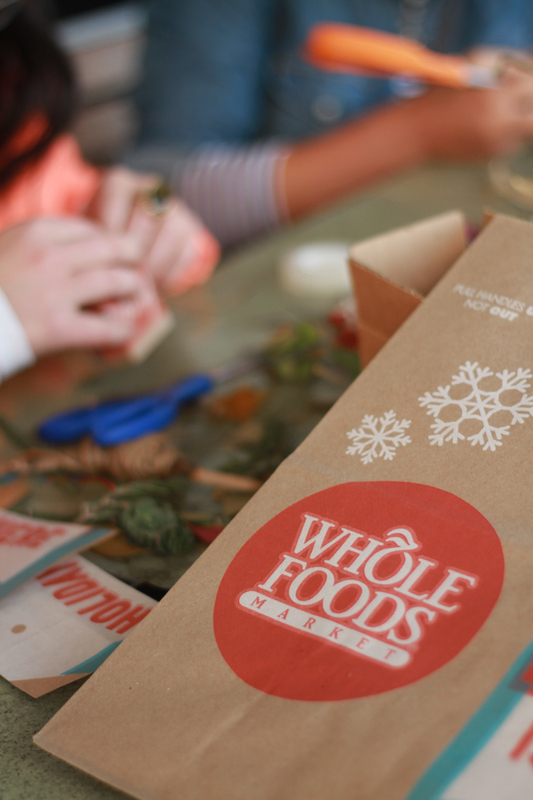 And look at how perfect the holiday paper bags from Whole Foods are for wrapping paper if you use the outside! They even have snowflakes! 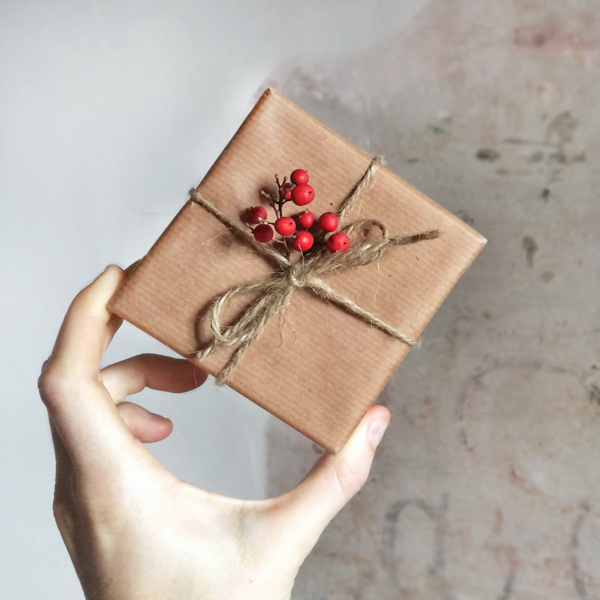 These dried red berries were also a perfect holiday wrapping paper touch. 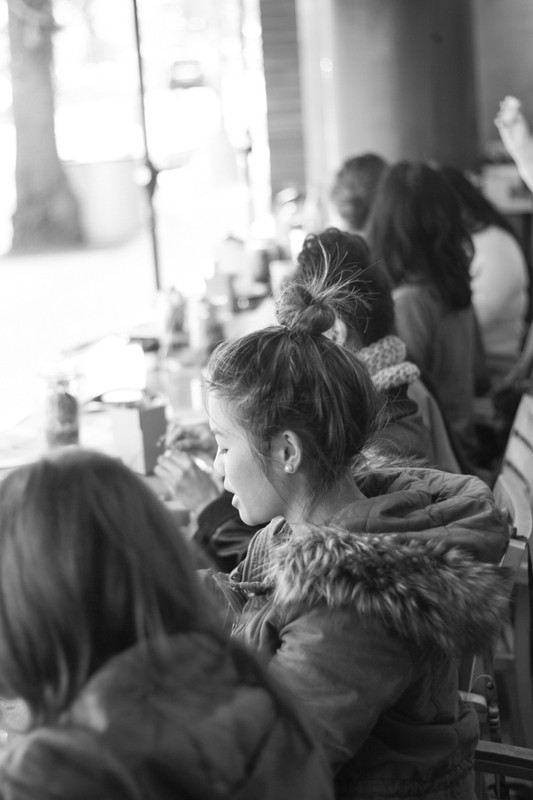 Thanks to those of you who joined us, and we hope to see many more of you at the next event. Oh, and….